Go to original pattern for design DROPS 192-57. 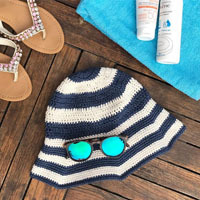 Knitted shawl and head band in DROPS Air. 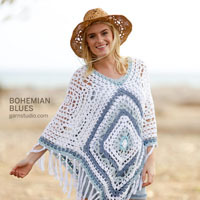 Shawl is knitted top down in garter stitch. 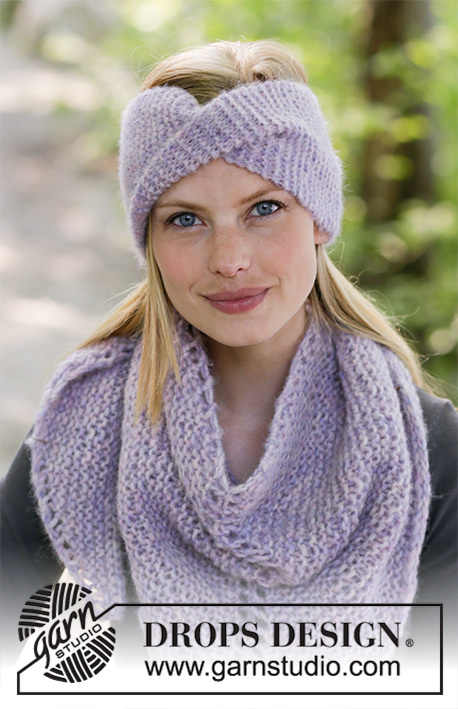 Head band is knitted from side to side in garter stitch. Height: approx. 44 cm, measured in the middle. 17 stitches in width and 33 rows vertically in garter stitch = 10 x 10 cm. 12 stitches in width and 22 rows vertically in garter stitch = 10 x 10 cm. DROPS CIRCULAR NEEDLE SIZE 9 mm, length 80 cm. Knit all rows (1 ridge = 2 knitted rows). 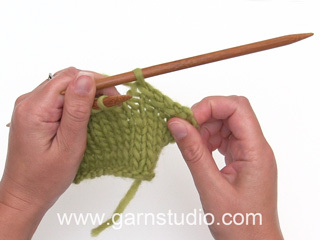 Work back and forth on needle in GARTER STITCH - see explanation above. Cast on 20-21-22 stitches on needle size 5 mm with Air. 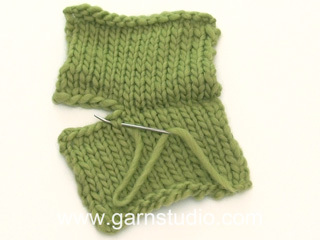 Work in GARTER STITCH until piece measures approx. 47-49-51 cm or desired length. REMEMBER THE KNITTING TENSION! 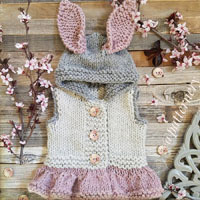 Cast off all stitches by knitting. Sew cast-on edge together with cast-off edge with neat little stitches but to make twist at the front on head band twist the piece 1 time in the middle before sewing together (half piece with right side outwards and half piece with wrong side outwards). To make the twist stay in place sew a small stitch through all layers mid front. Make sure that the twist is mid front and seam is mid back. Fasten off. Work back and forth, top down on circular needle in GARTER STITCH - see explanation above. 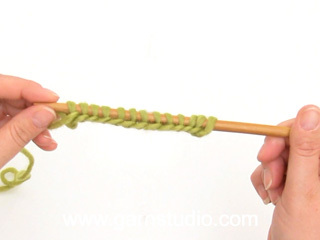 Knit yarn overs to make holes when increasing. Cast on 7 stitches on circular needle size 9 mm with Air. ROW 1: Knit 1, make 1 yarn over, knit 2, make 1 yarn over, knit 1 (= middle stitch), make 1 yarn over, knit 2, make 1 yarn over and knit 1. Insert 1 marker in the middle stitch, move the marker upwards when working (= 4 stitches increased). ROW 2: Knit 1, make 1 yarn over, knit until 1 stitch remains on needle, make 1 yarn over and knit 1 (= 2 stitches increased). ROW 3: Knit 1, make 1 yarn over, knit until middle stitch, make 1 yarn over, knit 1 (= middle stitch), make 1 yarn over and knit until 1 stitch remains, make 1 yarn over and knit 1 (= 4 stitches increased). Work ROWS 2 and 3. REMEMBER THE KNITTING TENSION! Work until piece measures approx. 43 cm measured along middle stitch. On next row cast off with an i-cord cast-off. It is important that the cast-off edge is not too tight. 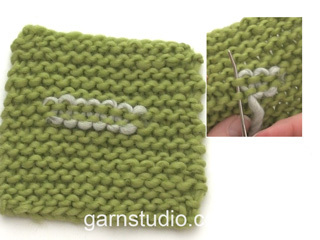 Use a larger needle to cast off if needed and make sure to work loose stitches. 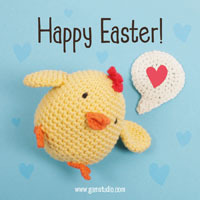 Work and decrease as follows: * Knit 2, knit the next 2 stitches together. Slide the 3 stitches from right needle back on left needle (in same order they are in) *, work from *-* until all stitches on left needle as cast off and 3 stitches remain on right needle. Slide the stitches on to left needle and cast off the 3 stitches by knitting. Cut the yarn and sew in the end. Hei, det står strikk til arbeidet måler ca 43cm fra midtmasken. Det er vanskelig å måle på rundpinnen, og jeg har prøvd å telle huller på bildet i stedet. Kan dere oppgi antall masker ved felling - eller ev antall hull nedover langs midten i stedet? Takk. Mikä o i cord nauha? Hei, i-cord -nauha on nyöriä muistuttava reunus.